Be it for Machli, the most photographed tigress in the world or a man-eater tiger, Ustad, Ranthambhore has always been in news for one reason or the other. Like many years that have gone by, 2017 has also brought several good news making it eventful 365 days for the park. 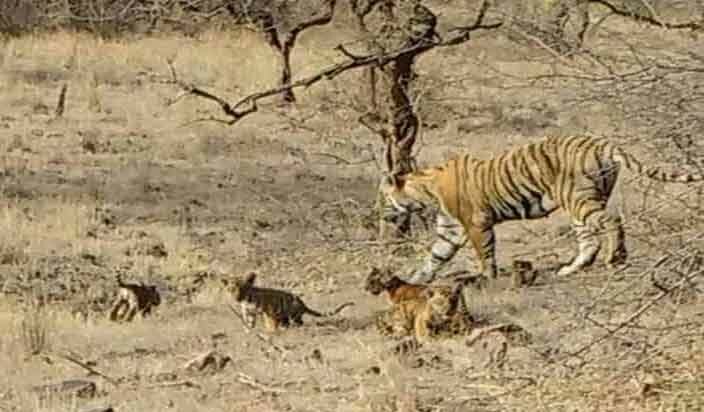 The year started with the news where Tigress T-8 gave birth to 3 cubs followed by NTCA opposing the mining project in the Buffer region of the park. The Government of Rajasthan gave another reason to the wildlife lovers to get excited by allowing a full-day safari in the reserve. Later in the year, RNP held a record for topping the list of all the national parks in India in term of revenue collection. The national park also cheered for 4 new cubs of Tigress Krishna and welcomed Hollywood celebrities, Catherine Zeta-Jones and spouse Michael Douglas. The year 2017 ended on a good note where in the news of high tech installment in the park surfaced. 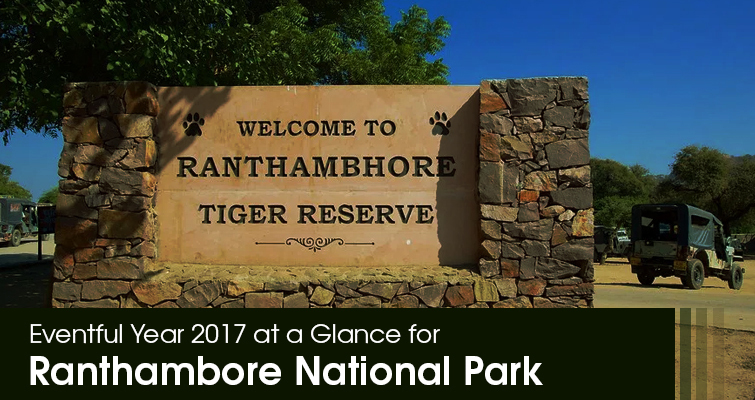 Let’s take a look at the eventful year that Ranthambore National Park had in 2017 in detail below. The year 2017 came in with some good news for the Ranthambore National Park as in February, 3 cubs were spotted with Tigress T-8 also known as Ladali in Zone 6 of the reserve. The tigress with her babies were spotted by tourists during the morning safari for the first time in Patwa-Baowri. After including these 3 cubs the total number of tigers touched the mark of 63 in RNP. The biggest news of this month for RNP was the ACC Limited’s Lakheri Chamovali limestone mining project that was going to be held in Bundi district as well as in the buffer region of Ranthambore National Park. This project was opposed by the National Tiger Conservation Authority (NTCA) as it was also falling in the buffer region of the park. The officials of National Board for Wildlife (NBWL) asked the NTCA to give their verdict on this. The NTCA informed NBWL officials that if this project gets a green flag, it will be a violation of wildlife protection act of 1972 and will adversely affect the Tigers. Adding to this, the officials of NTCA said, the project will result in dispersion of tigers to the nearby sanctuary, increasing the pressure on RNP as well as affecting the genetic diversity of the park. 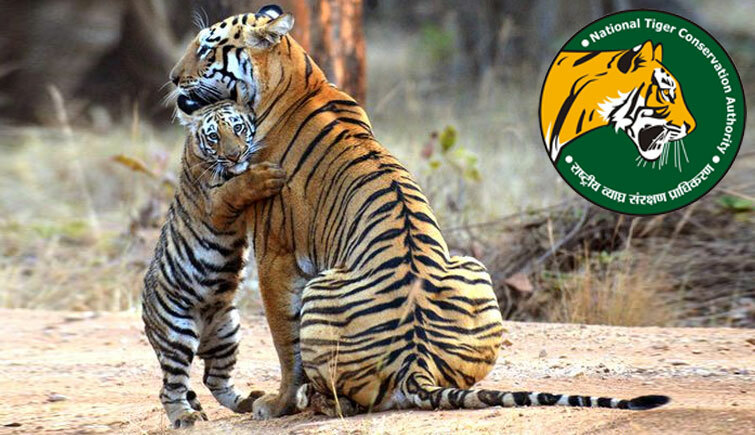 In the month of March, the total population of tigers in the RNP reached as high as 62 which is one less than the previous total because one of the cubs of Tigress T-8 died after some days of his birth. This total has lead to fights and quarrels amongst the big cats. The fight generally is to secure the prey-rich region which is at the core area of the park. Earlier it was found that two sisters, Lightening a.k.a T-83 and Arrow Head a.k.a T-84 (Daughters of Tigress Krishna a.k.a T-19) were found fighting for the area around the Ranthambhore lake. The increasing number of tigers have forced the officials to relocate them to other sanctuaries and parks. Another good news for wildlife photographers and enthusiasts came in the month of April 2017 as Rajasthan Government allowed full day wildlife safaris at Ranthambhore National Park. The decision was opposed by the wildlife conservationists, after which the officials of the park ensured to strictly monitor the tigers and their behaviour. Witnessing any problem will lead to the closing of full day safari in the park, the officials stated. 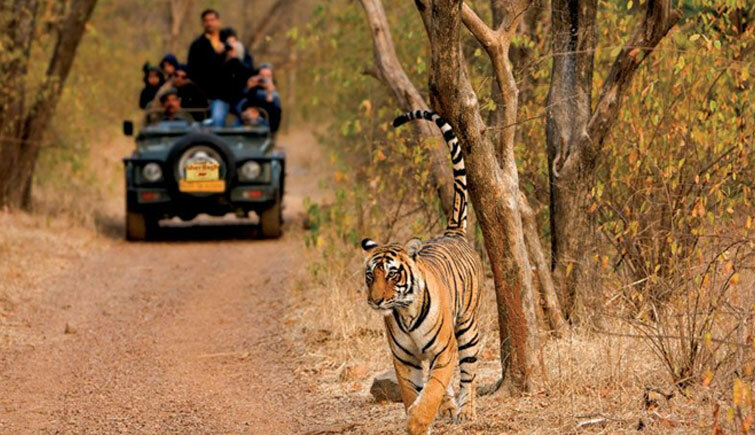 In the month of May, Ranthambhore National Park became the undisputed king in comparison to all the other tiger reserves. This was achieved by RNP by grossing the highest revenue of about 23.06 crores in the financial year of 2016-17. In May, around 2000-year-old painting was found in the Kaliadevi forest which is in the Ranthambhore Tiger Reserve. The paintings were discovered by conservation biologists in Vindhya Range, this finding depicts that RTR was once inhabited by prehistoric man apart from animals. On June 23, the wildlife enthusiasts had an exciting moment when they spotted Tigress T-19 a.k.a Tigress Krishna with her 4 new cubs in Zone 4. T-19 is the daughter of the most photographed tigress in the world, Machhli. 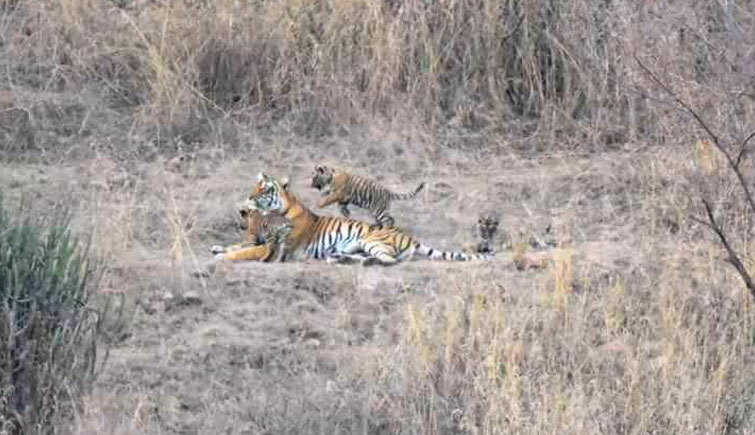 With these 4 cubs, she also became the tigress to give birth to the highest number of cubs in a year. In March when the ACC mining proposal was kept in front of the NBWL, they asked for a verdict from NTCA. In their reply, the officials of NTCA said that if the project was given a green flag it will adversely affect the national park. But then NBWL asked the officials to submit a complete report of the project. In September, after going through the report National Board of Wildlife gave verdict in favour of mining, which was greatly opposed by wildlife conservationists and activists. In the month of September, there was another jolt in the form of the death of Male Tiger, T-33 also known as Hammir. The 13-year-old tiger was treated for the injury in his leg and neck which he sustained from a younger male in a fight for territory. 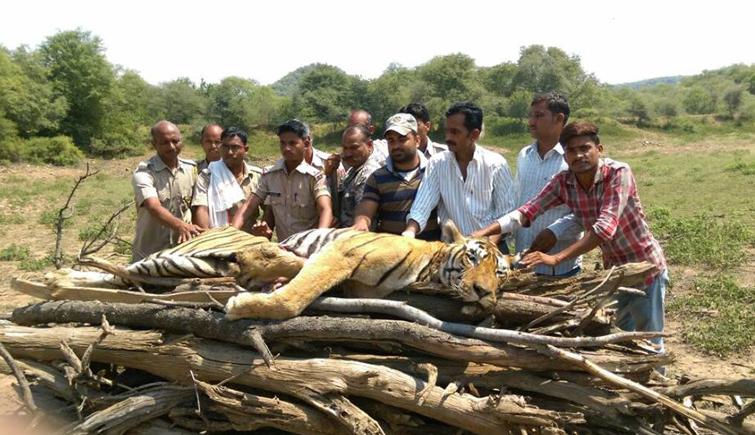 The tiger was receiving medical help but even after that he could not be saved and was found dead in the Chiroli forest of the Khandar area. 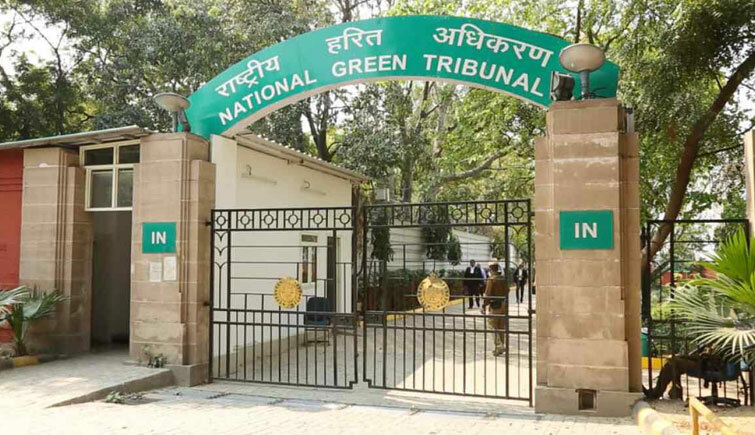 In October, NGT (National Green Tribune) asked the ACC mining officials to stop the hotly debated project straight away. Carried out in the Buffer Zone of Ranthambhore National Park which forms a crucial part of the tiger’s corridor, this mining project that was earlier approved by NBWL was harming the environment and the lives of the big cats. The total area under mining was 1516 hectares, 201 hectares of which was falling in the Buffer Zone, therefore, NGT took the necessary step and ordered the dismissal of the project in the reserve. 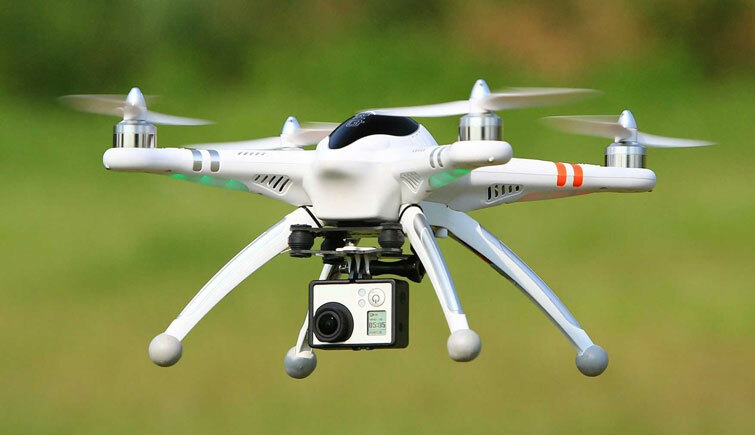 Rajasthan Government made an announcement for the introduction of drones and thermal cameras in the Ranthambhore National Park to be used for better vigilance. According to an official, this step is taken to completely stop all the anti-wildlife activities on the premises making it a safer place for them. 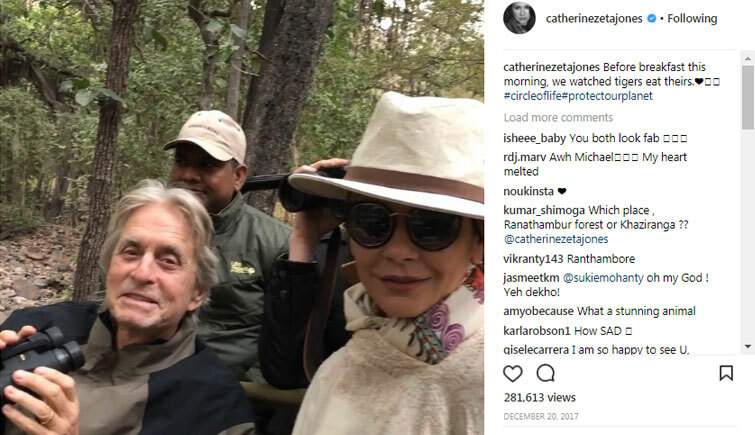 On their visit to India, Hollywood actress Catherine Zeta-Jones and actor Michael Douglas along with their kids visited many places amongst which was Ranthambhore National Park. They enjoyed 2 days jungle safari sighting where they got the chance to sight a tiger. They shared pictures and videos of the memorable and enjoyable time they spent here in the wildlife. Throughout 2017, Ranthambhore National Park saw many events both good and bad but worth remembering. This national park in Rajasthan is truly a place that stands as an epitome of wildlife conservation and responsible tourism. Here’s hoping like 2017, the park takes more decisions and measures in favour of its wildlife in the years to come and become an inspiration for in the wildlife conservation realm.